$5,000 claimers running for $29,000. Bottom allowance runners going for a $103,000 purse. That’s the type of purses set for Churchill Downs on Kentucky Derby week 2019. Is horse racing dead? Not in Kentucky. Record prize money for horsemen will be distributed at Churchill Downs’ 145th Spring Meet thanks to early returns from state-of-the-art historical racing machines at Derby City Gaming. The first condition book, which covers the first half of the 38-day Spring Meet, was released Wednesday, and purses for the 189 offered races total $20.1 million – an unprecedented 46% increase from last spring’s $13.7 million. The daily average is $1,056,842 compared to $722,579 in 2018, or $106,243 per race versus $72,640. All purses include prize money from the Kentucky Thoroughbred Development Fund. Purses for all six days of racing on Derby Week (April 27-May 4) have been supercharged. In years past, only the purses on Oaks and Derby days were boosted. Maiden special weight races will be $100,000. Allowance races will range from $103,000 to $110,000. Total purses on Oaks Day will exceed $3.6 million, and Derby Day prize money will be worth a record $6.9 million. After Derby Week, maiden special weight races will be worth $85,000 (up from $53,000 in 2018), and allowance races will range from $87,000 to $94,000 (up from $55,000 to $61,000 in 2018). The daily prize money post-Derby Week will average $525,308 compared to $356,769 in 2018, or $55,975 per race versus $38,016 a year ago. In a change from last year, the winner’s share of the purse in all overnight races will be 56% (previously 60%) and 1.5% of the purse will be distributed to the sixth- through last-place finishers (previously 0.5%) to incentivize starts and reward owners who run their horses. More than $30 million in total prize money – $12 million in stakes races and another $18 million in overnight races – is expected to be offered during this year’s Spring Meet. Last year, total purses paid during the 372-race Spring Meet was $22.2 million. With 75 total racing dates in 2019, Churchill Downs will offer more racing opportunities for horsemen than any other racetrack in Kentucky and increase its purses with more than an additional $10 million as a result of handle generated by Derby City Gaming’s initial year of operation. The $65 million facility opened in mid-September at nearby 4520 Poplar Level Road. Earlier this year, Churchill Downs announced a record 34-race, $12.2 million Spring Meet stakes schedule that included a $1 million boost to the 145th running of the Kentucky Derby presented by Woodford Reserve (Grade I) on Saturday, May 4, making it worth a guaranteed $3 million. Also among the 15 stakes races that received significant increases were the Longines Kentucky Oaks (GI), which was raised to $1.25 million, and the Old Forester Turf Classic (GI), which was doubled to $1 million. Stall applications for the highly-anticipated Spring Meet, which will begin Saturday, April 27 and continue through Saturday, June 29, are due Friday, March 8. The stable area will reopen Tuesday, March 19 and the first scheduled day of training is Friday, March 22. 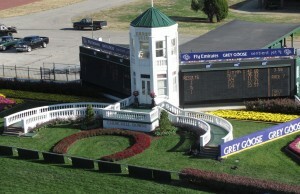 View the condition book online: https://www.churchilldowns.com/horsemen/racing/condition-book/. 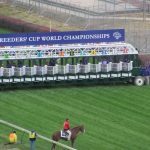 LOUISVILLE, Ky., Jan., 2019 (GLOBE NEWSWIRE) — Churchill Downs Incorporated (“CDI” or “the Company”) (Nasdaq: CHDN) today announced that it has completed the previously announced purchase of Presque Isle Downs & Casino (“Presque Isle”) in Erie, Pennsylvania from Eldorado Resorts, Inc. (“ERI”) (Nasdaq: ERI) for cash consideration of $178.9 million, subject to certain working capital and other purchase price adjustments. The purchase of the property follows the approval of the transaction by the Pennsylvania Gaming Control Board and the Pennsylvania State Horse Racing Commission. The transaction was funded with cash on hand and through the Company’s existing credit facility. The 144th renewals of the $2 million-guaranteed Kentucky Derby Presented by Woodford Reserve (Grade I) and the $1 million-guaranteed Longines Kentucky Oaks (GI) headline a strong roster of 32 stakes races with total purses of $8.84 million scheduled for Churchill Downs Racetrack’s April 28-June 30 Spring Meet. 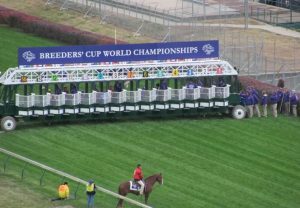 The schedule is headlined by a spectacular Kentucky Derby Day on Saturday, May 5 that features seven graded stakes races – including three Grade I events – with total stakes purses of $4.2 million. The Kentucky Oaks Day program one day earlier features six graded stakes with total stakes purses of $2.35 million. Another highlight is the “Downs After Dark” nighttime program on Saturday, June 16, featuring five graded stakes, topped by the 37th running of the $500,000 Stephen Foster Handicap (GI), with total stakes purses of $1.1 million. The Kentucky Derby and Kentucky Oaks are among six Grade I races on the Spring Meet schedule that also features seven Grade II events, 10 Grade III contests, one listed $100,000 event, two additional $100,000 stakes and six overnight stakes races that offer purses of $65,000-added. 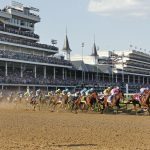 The Kentucky Derby, Kentucky Oaks and Stephen Foster Handicap programs are among seven racing days that will feature two or more stakes contests. Alongside the Derby, Oaks and Stephen Foster Handicap, Grade I events set for the 2018 meet are the $500,000 Old Forester Turf Classic and $300,000 Humana Distaff on Derby Day and the Oaks Day renewal of the $350,000 La Troienne. Four events on the Spring Meet schedule will benefit from individual purse increases of $50,000. Those races are the $300,000 Pat Day Mile Presented by LG&E and KU(GIII) on Derby Day and the Oaks Day renewals of the $350,000 La Troienne, the $200,000 Edgewood Presented by Forcht Bank (GIII) and the $200,000 Twin Spires Turf Sprint (GIII). 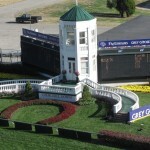 Along with the running of the Kentucky Derby, America’s greatest race and the nation’s oldest continuously-held sports event, a trio of Grade I events on the Derby Day racing program includes the 32nd running of the Old Forester Turf Classic (formerly known as the Woodford Reserve Turf Classic from 2000-17) for 4-year-olds and up at 1 1/8 miles on the grass; the 32nd renewal of the Humana Distaff, a seven-furlong race for fillies and mares ages 4 and up. Completing the spectacular roster of seven Derby Day graded stakes events will be the $500,000 Churchill Downs (GII) for 4-year-olds and up at seven furlongs; the $300,000 Longines Distaff Turf Mile (GII) for fillies and mares 4-year-olds and up at one mile on turf; the Pat Day Mile for 3-year-olds at one mile on the main track; and the $300,000 American Turf Presented by Ram Trucks (GIII) for 3-year-olds at 1 1/16 miles on the Matt Winn Turf Course. The 2017 Kentucky Derby was won by MeB Racing, Brooklyn Boyz, Theresa Viola, St Elias, Siena Farm and West Point Thoroughbreds’ Always Dreaming, while Gunpowder Farms LLC’s Divisidero earned his second consecutive victory in the Turf Classic. Juddmonte Farms’ homebred Paulassilverlining won the Humana Distaff. The six stakes races on the Friday, May 4 Kentucky Oaks Day program are headed by the Oaks, America’s premier race for 3-year-old fillies, which will be run at 1 1/8 miles on the main track, and the La Troienne (GI), a 1 1/16-mile race for fillies and mares ages 4 and up. The Oaks Day schedule also features the $400,000 Alysheba (GII) for 4-year-olds and up at 1 1/16 miles; the $200,000 Eight Belles Presented by Kentucky Trailer (GII) for 3-year-old fillies at seven furlongs; the Edgewood (GIII) for 3-year-old fillies at 1 1/16 miles on turf; and the Twin Spires Turf Sprint (GIII) for 3-year-olds and up at five furlongs on turf. China Horse Club International Ltd. and Clearsky Farm’s Abel Tasman rallied from last in a field of 14 to win the 2017 Kentucky Oaks, while Maggi Moss’ Big World took the La Troienne. The Stephen Foster Handicap, a 1 1/8-mile event for 3-year-olds and up, is the main even on the June 16 night racing program the features five stakes contests. Joining the Grade I headliner will be the $200,000 Fleur de Lis Handicap (GII) for fillies and mares ages 3 and up at 1 1/8 miles; the $200,000 Wise Dan (GII) for 3-year-olds and up at 1 1/16 miles on turf; the $100,000 Matt Winn (GIII) for 3-year-olds at 1 1/16 miles; and the $100,000 Regret (GIII) for 3-year-old fillies at 1 1/16 miles on the turf. The Stephen Foster was won last year by Winchell Thoroughbreds LLC and Three Chimneys Farm LLC’s Gun Runner, who would go on to win the Breeders’ Cup Classic (GI) and Eclipse Awards for Horse of the Year and the Champion Older Male of 2017. Other multiple stakes programs include the Kentucky Derby Week Thurby program on Thursday, May 3 that includes the $100,000 Kentucky Juvenile for 2-year-olds at five furlongs and the Opening Verse Overnight Stakes for 3-year-olds and one mile on turf; the Saturday, May 26 card topped by the $100,000 Winning Colors (GIII) for fillies and mares 3 and up at six furlongs and the Keertana Overnight Stakes for fillies and mares 3 and up at 1 ½ miles on turf; the Saturday, June 2 “Downs After Dark” program topped by the $100,000 Aristides (GIII) for 3-year-olds and up at six furlongs and the Mighty Beau Overnight Stakes for 3-year-olds and up at five furlongs on turf; and the Saturday, June 30 closing day program with a trio of stakes races led by the $100,000 Bashford Manor (GIII) for 2-year-olds at six furlongs, the $100,000 Debutante (Listed) for 2-year-old fillies at six furlongs, and the Kelly’s Landing Overnight Stakes for 3-year-olds and up at seven furlongs. The Spring Meet stales schedule kicks off under the lights during the Opening Night celebration on Saturday, April 28. The night’s racing program will be highlighted by the $100,000 William Walker, a race for 3-year-olds named for the pioneering African-American jockey and Kentucky Derby winner which will be run for the fourth time. The William Walker is the only race on the Spring Meet schedule that will undergo a change in racing surface or distance. The race will now be run on the turf at five furlongs after being run on the main track at six furlongs in its first three renewals. Other graded stakes contests on the schedule include the $100,000 Louisville Handicap (GIII) for 3-year-olds and up at 1 ½ miles on turf on May 19, and the Old Forester Mint Julep Handicap (GIII), a 1 1/16-mile turf race for fillies and mares 3 and up on June 9. Two additional overnight stakes races complete the schedule: the May 12 Unbridled Sydney for fillies and mares 3 and up at five furlongs on turf, and the June 23 Roxelana, for fillies and mares 3 and up at six furlongs on the main track. LOUISVILLE, Ky. (WDRB) — Despite rainy weather, a “strong” Kentucky Derby week helped Louisville-based Churchill Downs Inc. report net income of $78 million in the second quarter of the year, a 12 percent increase from the same period in 2016. 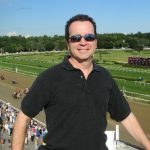 “The education, through seminars, speaking engagements and financials, has been more than expected and I can honestly say this is the beginning of a new journey for me in horse racing ownership and management,” said Stephens, who is also considering enrolling in the University of Louisville’s Equine Industry Program. LITTLE ROCK — A passenger in a New Orleans-bound vehicle, the commercial airline pilot battled sporadic cell coverage in South Arkansas to sign up for the Churchill Downs Racing Club. 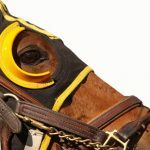 ARLINGTON HEIGHTS, Ill., PRNewswire-USNewswire/ — Horse racing in Illinois would plummet, threatening thousands of jobs at tracks and across Illinois agribusiness, under a plan by Churchill Downs, Inc., to upend its obligation to live racing and usurp the state’s authority to determine the racing schedule.